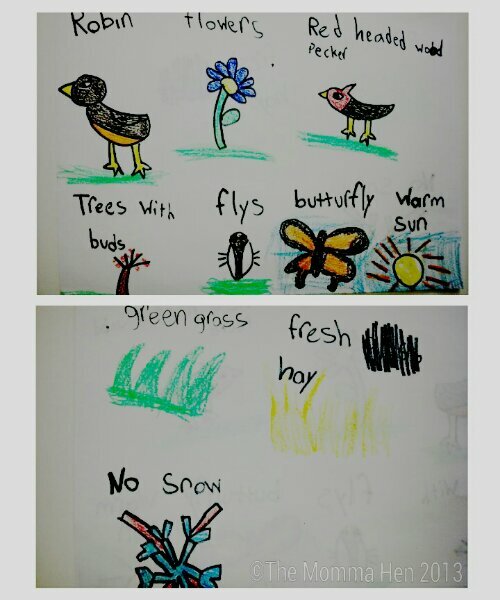 Observations courtesy of my nature explorers H#1 and 2. Drawing compliments of H#1. This has to mean Spring is almost here. Doesn’t it?